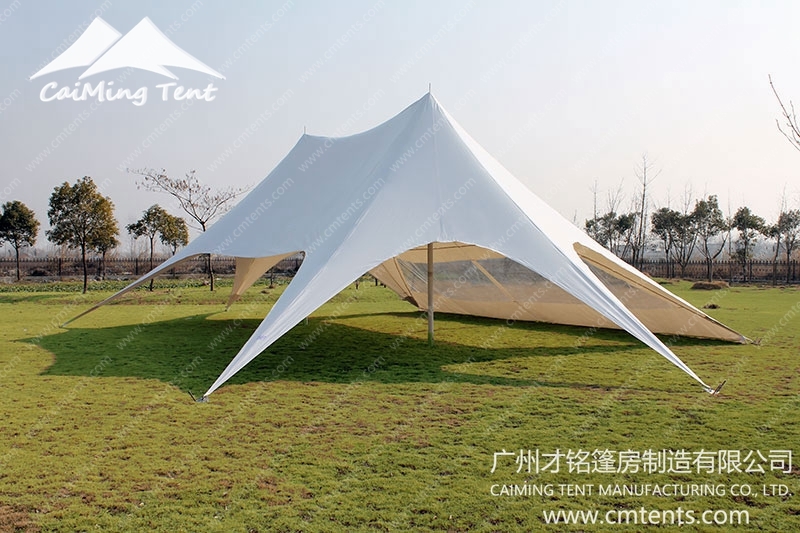 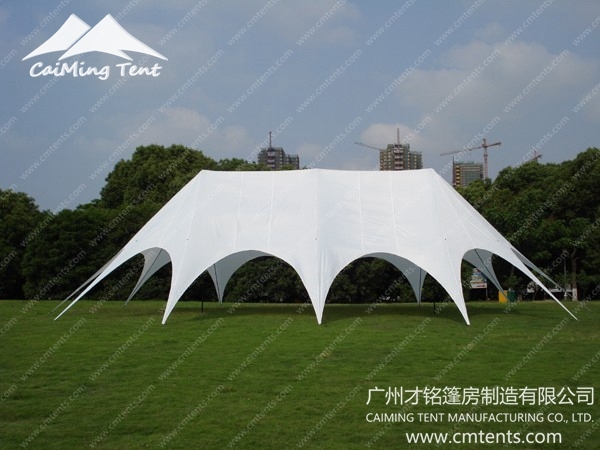 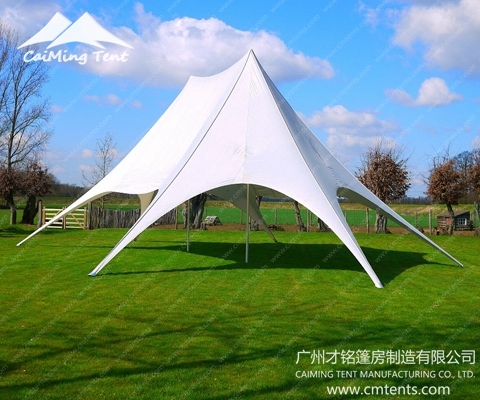 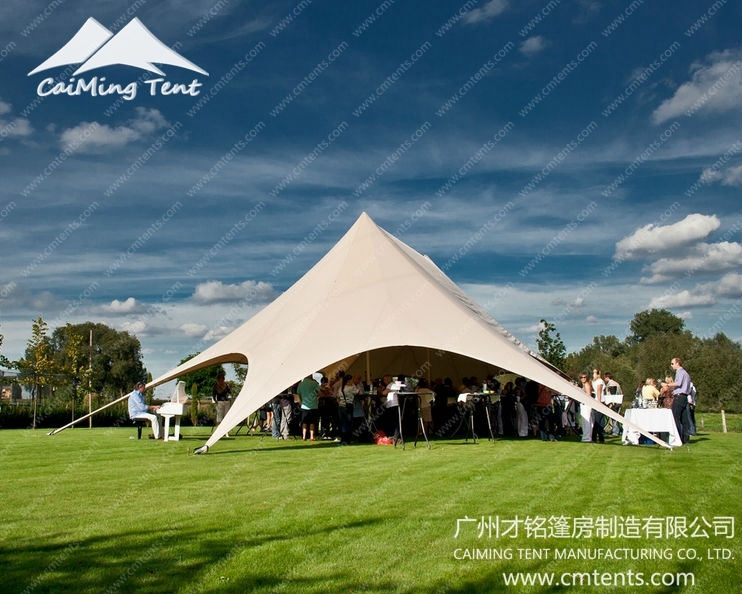 CaiMing Star Tents are stylish and unique to create a truly stunning impact. 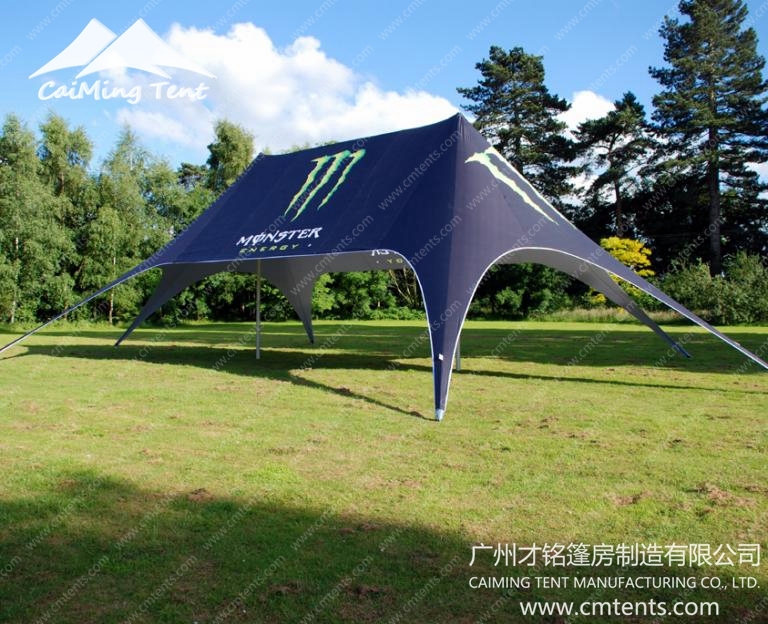 Star Tent, Star Shade, and Spider Shade Marquees – stylish and unique Star Shelters from XG Looking to create a truly stunning impact. 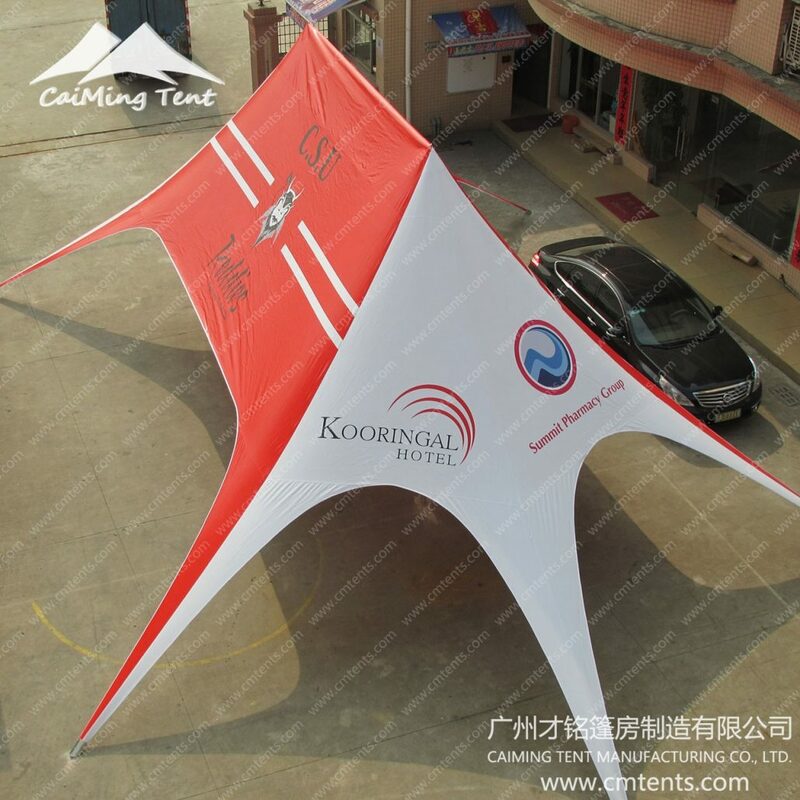 CaiMing Star Tents is the ideal solution for events, festivals, parties, road shows, exhibitions and launches. 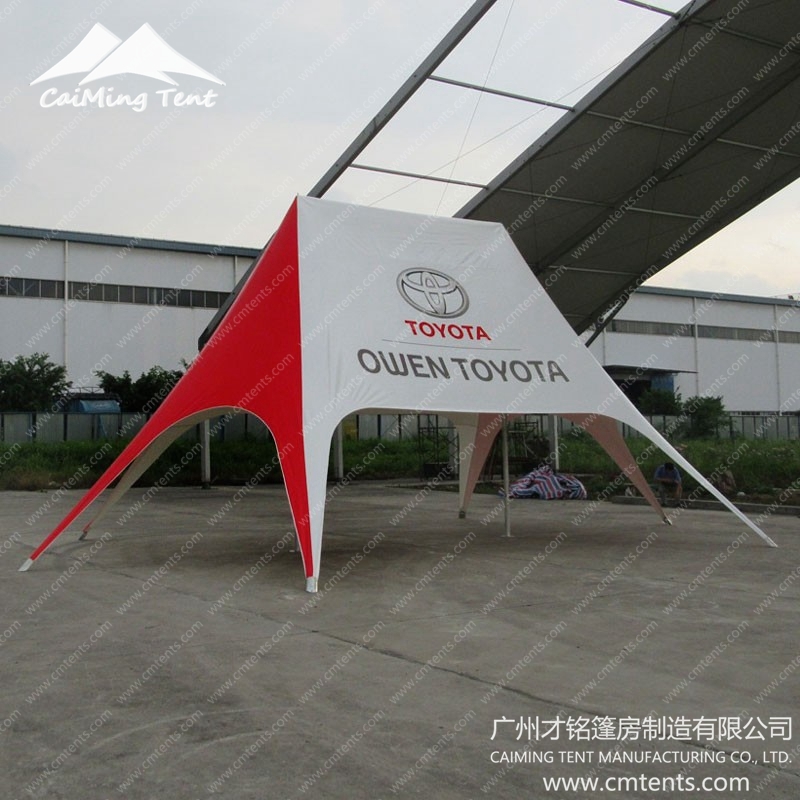 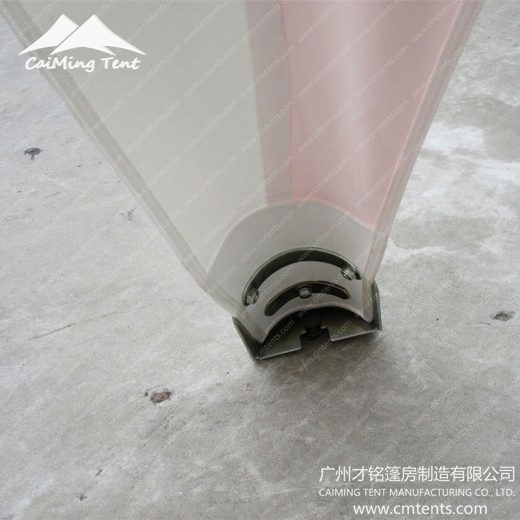 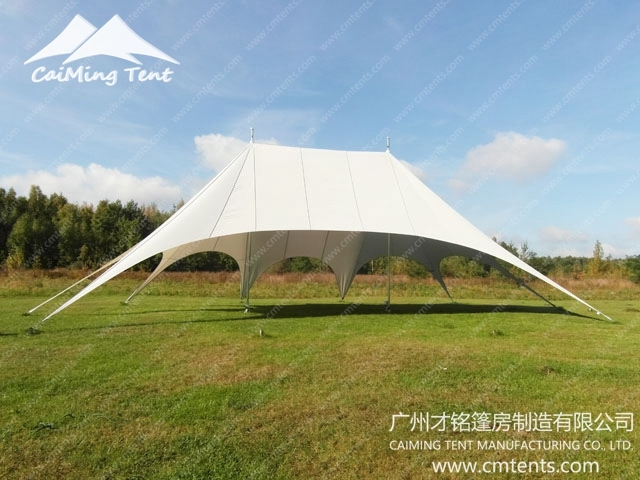 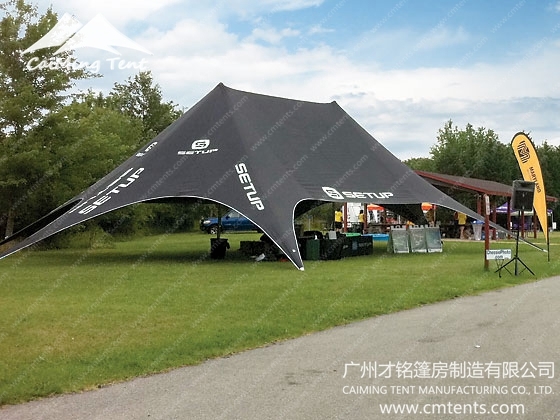 For parties and events as well as semi-permanent use, the unique spider shaped CaiMing Star Tents are tensioned fabric structures, supported by a centre pole and ground up tension. 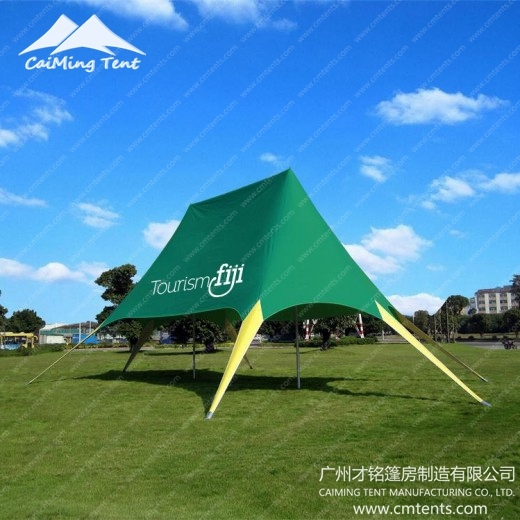 Easily transportable, they take only two people less than 30 minutes to put up. 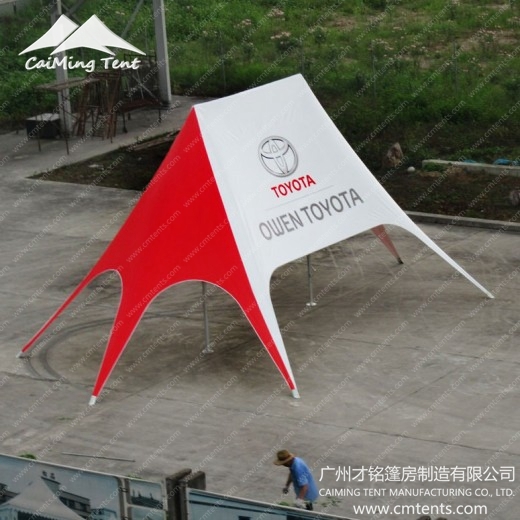 Our Star Shelter range – including Single Peak and Double Peak are available in a wide range of sizes and make an excellent addition for any event or venue. 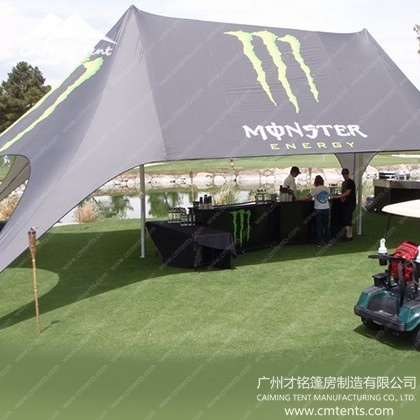 We have a comprehensive range of accessories to complement our Star Shelter star tents, from branded weight bases for hard standing, feather flags, fence scrim, branded deck chairs, custom-printed parasols and many other promotional products to help you stand out from the crowd. 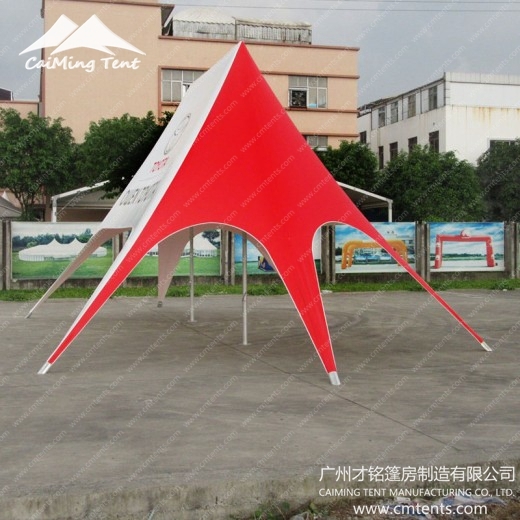 THE STAR SHADE TENTS come in a range of standard colours, and with removable windows/doors. 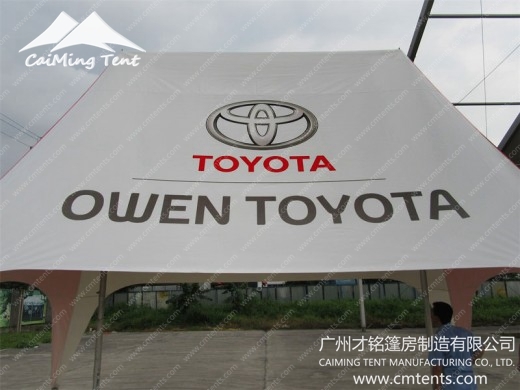 Branding options are available on full printed covers or full printed sidewalls, so we are confident we have the perfect solution for you.